GBP is supported by the hawkish BOE statement regarding the rate hikes and on the other hand, USD is empowered by the US economic reports. The support rests at 1.38780 with resistance at 1.39680 which both lines are below the weekly pivot point at 1.39910. The EMA of 10 is moving with bearish bias in the descendant channel and it is below the EMA of 200 and the EMA of 100. The RSI is falling towards the oversold area, the Stochastic is showing downward momentum and MACD line is on the signal line in the neutral territory. The ADX is showing sell signal. 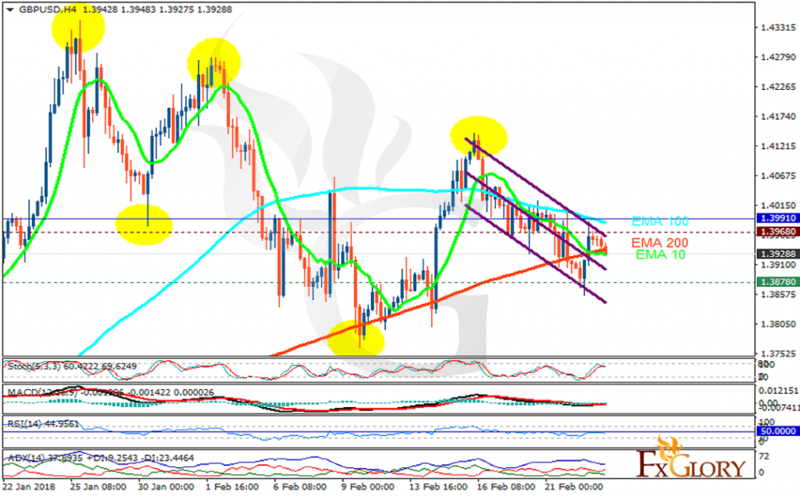 GBPUSD is creating a zig-zag pattern therefore short positions are recommended towards 1.385.